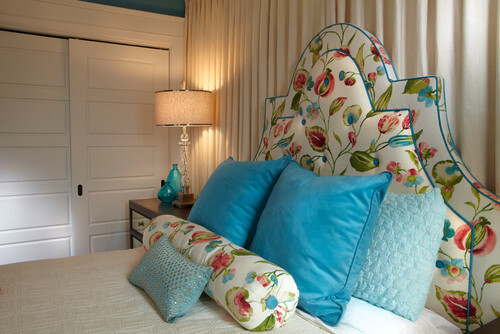 We’re in the middle of a winter frenzy, at least in much of the US, so why not bring the theme into our bedrooms? 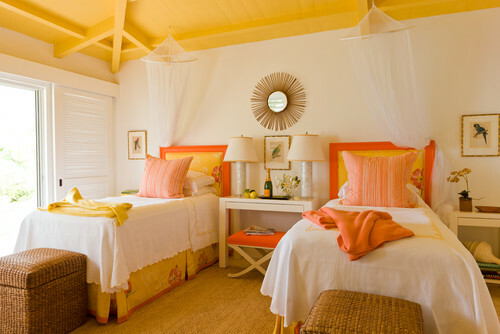 Decorating with shades of white and cream can give you the opportunity to refresh your space with the seasons. Depending on textures and accents, white can be wintry during December, January, and February, but it can be summery in June, July, and August. Unless you have a fear of white, consider borrowing some of these design concepts to create your very own winter-white bedroom. 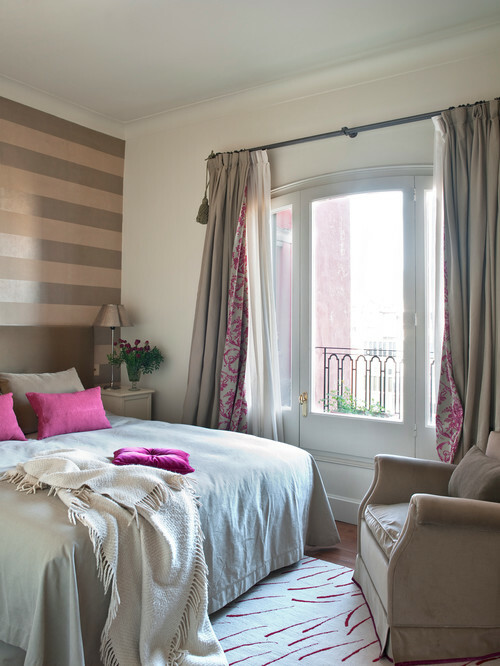 This gorgeous bedroom with shades of cream and beige remains mostly neutral but adds a punch of magenta in the throw pillows, drapery lining, and area rug. 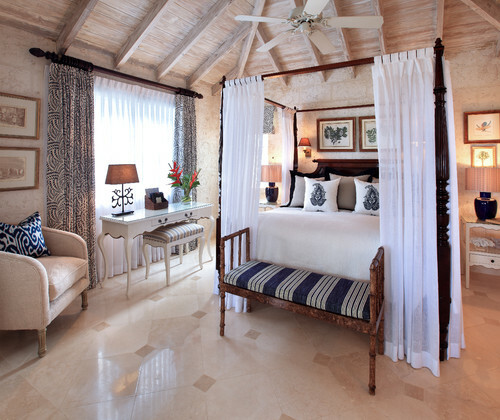 Notice the ivory sheers under the drapes, as well as the textured throw tossed haphazardly on the bed. What a stunning space and it boasts a balcony too. White and taupe balance each other well, and black adds the right amount of accent in this Scandinavian-style bedroom in Denver. A collection of poufs and the suspended chair add an element of whimsy to the otherwise sophisticated design. 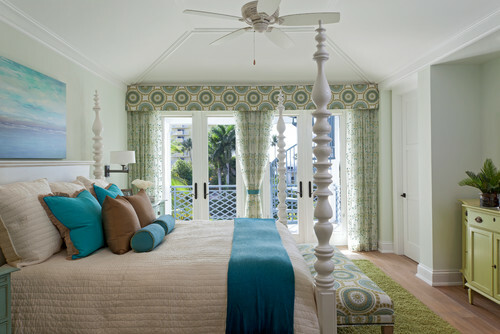 Silk wallpaper, velvet wall panels, and sumptuous bedding give this bedroom a luxurious feel. This space is decorated from head to toe in winter white (minus the black legs on furniture), and it’s absolutely fabulous. A Philadelphia bedroom goes modern using off-white matelassé, shag, and casual cotton. Light-colored wood keeps the room feeling casual yet chic. Just last week, I had a long, fascinating conversation with my friend Tim who works for Charles P. Rogers – all about oatmeal! “You need to do more with savory oatmeal dishes,” Tim said. “This is a lot of oatmeal information,” Tim responded. Oops. Sorry Tim! You know how excited I get about breakfast foods. How about something we can both enjoy? 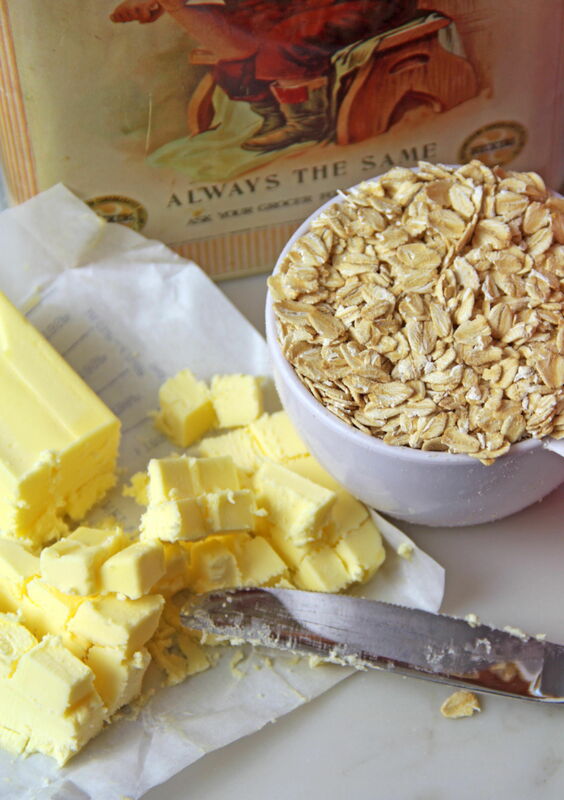 Savory oatmeal cakes, baked with just enough honey to keep them flaky and moist. You can top yours with a slice of cheese, Canadian bacon, or smoked salmon, and I’ll smear mine, hot from the oven, with fresh creamery butter and sweet raspberry jam. Preheat oven to 400°. Lightly grease a baking sheet and set aside. 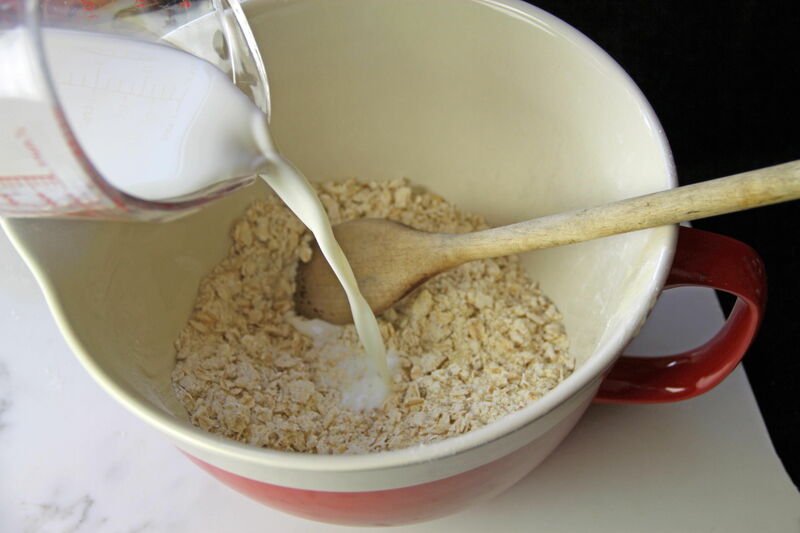 In large bowl, mix together oats, flour, baking powder and salt. 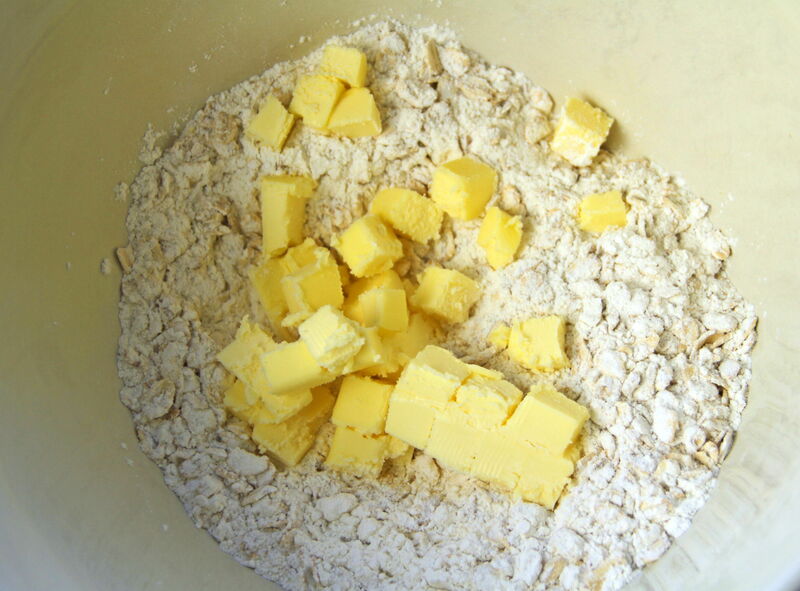 Cut butter into small pieces and cut into dry ingredients until mixed in and crumbly. Add milk and honey to dry ingredients, stirring until just mixed in. Turn batter out onto lightly floured board. 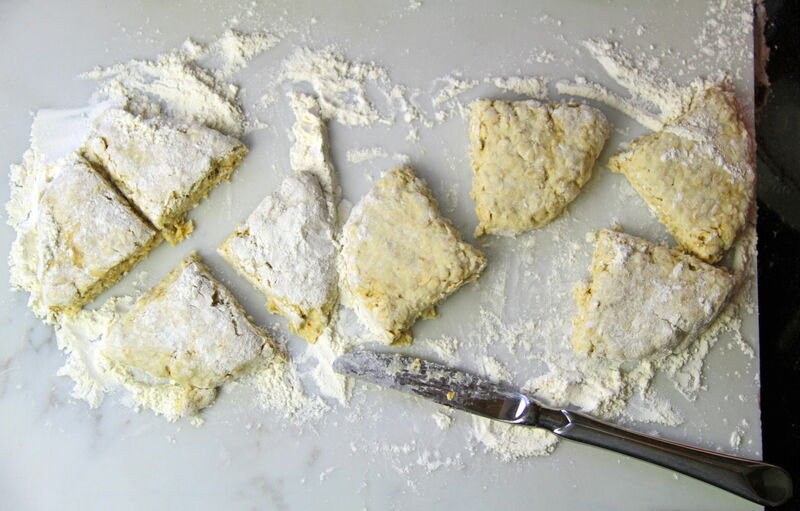 With floured hands, divide into two equal pieces and shape into large balls. Press each ball into a flat round and cut into quarters. 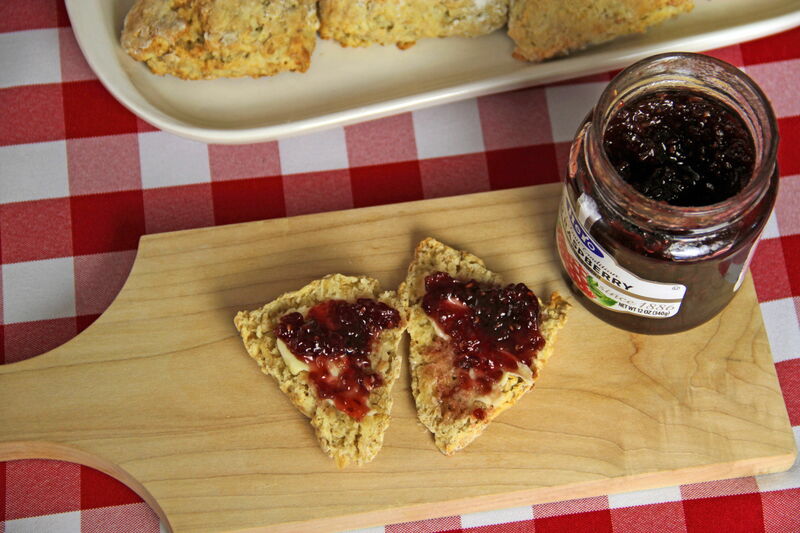 Place scones on baking sheet. 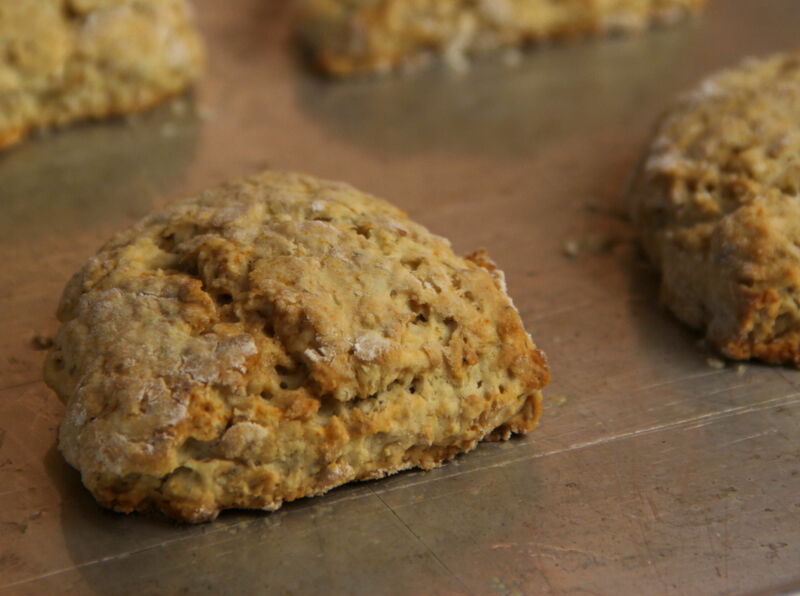 Place in oven and bake for about 20 to 25 minutes, until tops begin to lightly brown. Serve warm, with your choice of sweet or savory toppings. 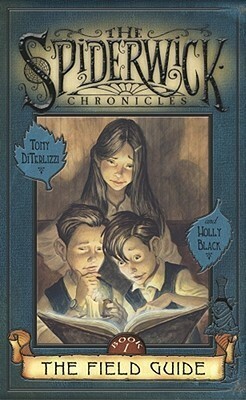 The Spiderwick Chronicles by Holly Black and Tony DiTerlizzi. I have been trying for ages to get my seven-year-old to embrace chapter books. Finding something that has short chapters, pleasantly distracting pictures and an exciting—but not too exciting—plot has been a challenge. For a while I had suspected that the children’s fantasy series The Spiderwick Chronicles would appeal to his love of magical creatures as well as his short attention span. When I finally remembered to put a hold on one of the books, I felt hopeful. We read the first couple chapters of The Field Guide together, hoping if I could get him interested in the first of the five novels that the rest would follow on its own. And it worked! Although he complained a couple times during his required reading time, those complaints became fewer and fewer. He is now on the third book and he read well beyond the 20 minutes and didn’t once ask how much time had elapse. Due to their mother’s financial problems, nine-year-old twins Jared and Simon and their thirteen-year-old-sister Mallory are forced to move into an old abandoned family estate in Maine called Spiderwick Estate. When he climbs in the old dumbwaiter, Jared discovers a secret library on the second floor with a poem loaded with clues which eventually lead him to a field guide to fantastical creatures. They discover that a whole world of faerie folk, brownies, sprites, goblins, exist and in their hands is the secret to finding and understanding them. Great bedtime read for kids. Exciting without getting scary, clever and interesting, and written by two fantastic children’s/young adult authors. What, you never heard of a BLP? Well it stands for “Bacon Loves Pineapple”. It’s true! All you have to do is take a look on Pinterest and you’ll see what I mean: there are bacon-wrapped pineapple skewers, some with shrimp, or jalapeño peppers or sriracha; bacon pineapple cheeseballs, made with cream cheese, walnuts or red onion; bacon pineapple pizzas strewn with mozzarella, cilantro, or chicken (this might be overkill); and even bacon pineapple upside down cakes and bacon pineapple doughnuts! Sure as day, these two ingredients are downright in love with each other. 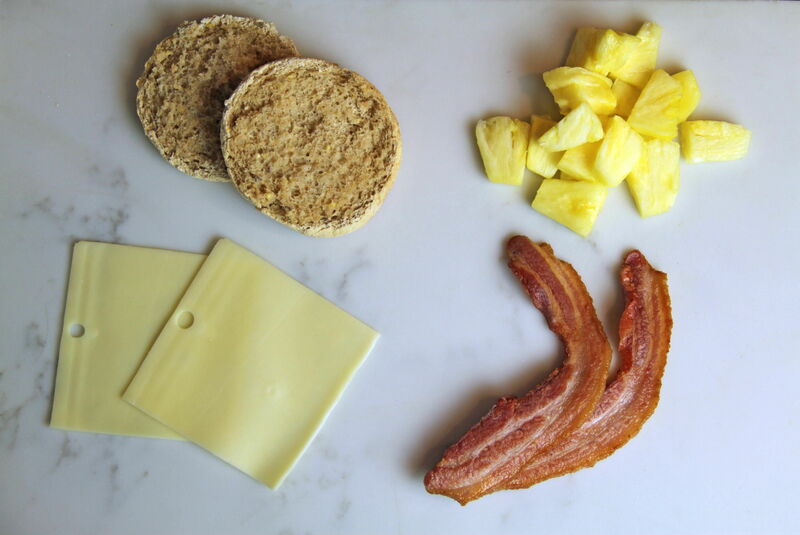 My BLP is simple – just place some crispy bacon, a slice of Swiss cheese and some fresh pineapple on an English muffin. 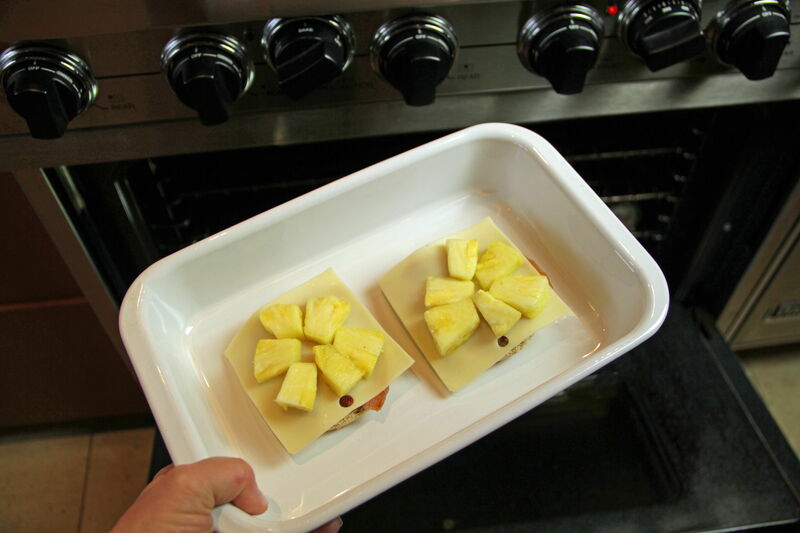 Pop it in the oven (or toaster oven) to warm, them broil it for just a minute, until the pineapple lightly chars and the cheese browns and crisps. Serve this morning treat hot from the oven over a bed of tangy baby arugula, breakfast in bed-style, and someone may just fall in love with you. Preheat oven to 350°. Cook bacon in a heavy frying pan over medium low heat until crispy, about 5 to 7 minutes. Drain on paper towels. Separate English muffin into two halves. Place half of the bacon on each muffin half, cutting to fit if necessary. Place a slice of Swiss cheese over the bacon on each muffin. 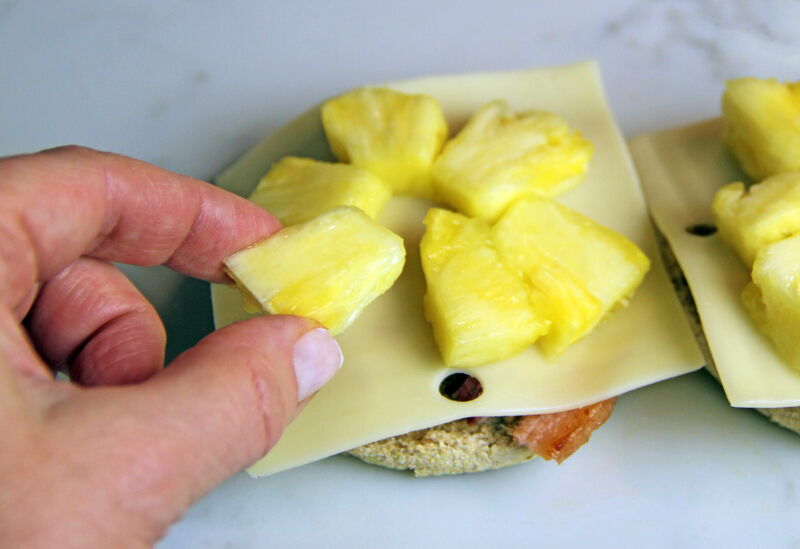 Top each muffin with half of the pineapple, making sure the fruit is flat. Place the prepared muffin halves on a baking tray and bake until muffins are warmed and cheese is melted. 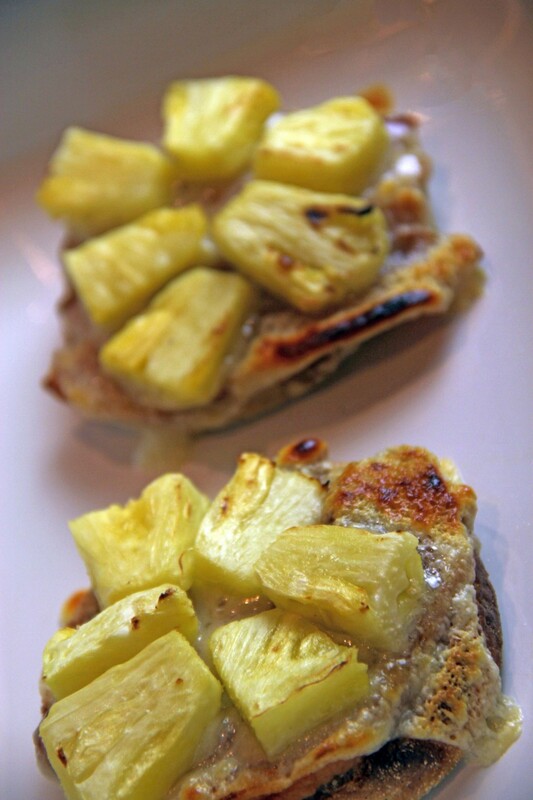 Turn on broiler and broil muffins, about 4 to 5 inches from heat, until pineapple and cheese start to crisp and brown, about 1 minute. 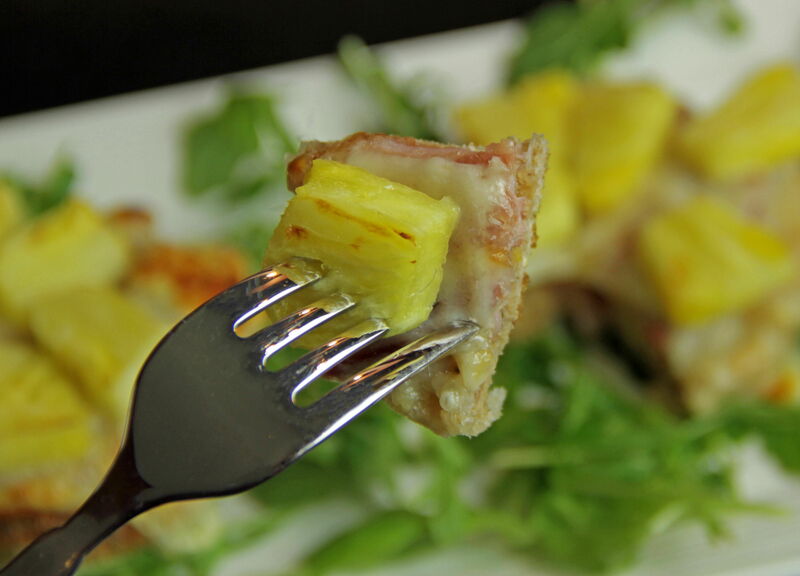 Remove from oven, place on a bed of baby arugula, and serve immediately.